← Are You Making Enough Money to be A Good Christian? Do You Love People and Use Things or Love Things and Use People? I answered then read other people’s answers. At some point, before I took my first sip, a thought hit me. The Alamo cup and every song choice on my playlist held value in my eyes for the same reason. They connected me with someone I loved. My wife, my son, and my mother each influenced my answers to Jon’s question. 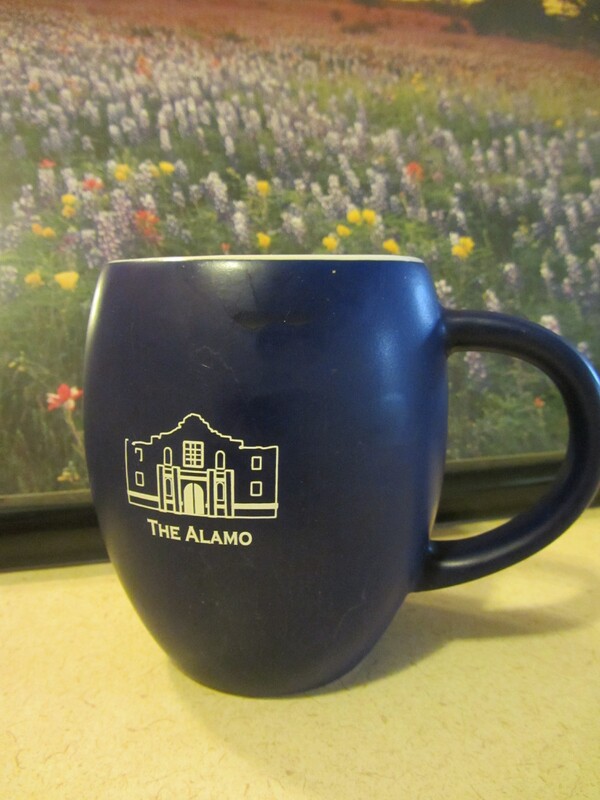 My son bought the Alamo cup in the souvenir shop of the famous Texas shrine. I’ve got an eclectic cup collection and would be crushed if I broke one (in fact, was crushed when I dropped my Texas Born-Texas Proud cup that Ellen gave me a few years ago). They represent friends who know I like a bold cup of coffee in the morning. Things have no intrinsic value. … like your home, your car, your home entertainment system, your bank account, your portfolio, your degree, your dental floss (which I tend to forget I even have). You can go through your life, your collections, your lists, and whatever else where stuff would be included and you’ll find each item has no real value in itself. You can include your church and your faith in that list. Alone, set apart from relationship, they’re worthless. Relationships add in the value to everything. In fact, I would take that statement one step further. The quality of the relationship involved determines the value of the thing associated with the relationship. Okay, I’ll take one area as an example—church life (because I’m all about a vital faith in Jesus Christ expressed in community, i.e. church!). When I say church, you have an emotional response. I’ll guarantee your response is determined by one simple thing, the quality of your relationship with the folks within the church. So how can we get our thinking straightened out? The obvious answer is to gain God’s perspective and focus on John 3:16, “For God so loved the world …” “The world”, in this case, means people, not things. But may I offer a one-size-fits-all suggestion. Why thank you. So here it is. Use things to love people. First, let the things you have remind you of the people you love. Like I noted, my Alamo cup reminds me of my son. When I’m sipping coffee, I think of Daniel. When I think of Daniel, I pray for him. I use the thing to love the person. Second, let the things you have serve the people you love. Whether cars, saucepans, homes, or money in the bank, things can be used in a number of ways. Cars can take us on a joy ride or they can take a friend in need to the doctor. Saucepans can sit in cupboards or make a soup for the neighbor. Homes can shelter us from the weather or provide the destination for friends to gather and share stories. Money can sit in the bank or it can buy a special gift to celebrate a friend’s big moment. I’m not advocating irresponsible spending or only focusing your resources on others, but, if you’re like me, you need to be reminded that life is more than the clothes you wear and the food you eat. Life is lived best when the things I have serve the people I love. Randy Pausch in The Last Lecture (a book I’d highly recommend) tells the story of picking up his niece and nephew in his just-off-the-dealership’s-parking-lot car. When Randy’s sister, the children’s mother, told them to be careful while in Uncle Randy’s new car, he opened a can of pop and poured the contents out on a seat. He wanted to demonstrate to big sister that he valued her kids, not his car. He loved them. He used it. I’m curious. What thing in your life has more value because of the relationship it represents? I’m also curious about something else. What best describes your church relationship—shine, shrug, or shrink? Are You Making Enough Money to be A Good Christian? When We Invite People Into Community, What Are We Wanting Them to Experience? "Dark Eyes, Deep Eyes" goes to morning coffee on book tour of city. 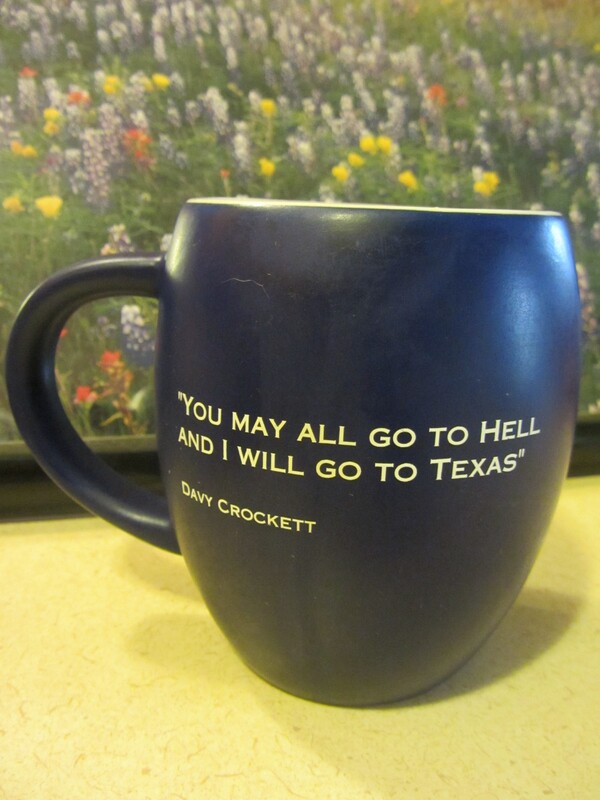 This entry was posted in Community and tagged Alamo, building Christian community, coffee mug, famous Davy Crockett quote, Jon Stolpe Stretched, love, love people, loving others, people vs. things, prayer, praying for others, Texas, use things, values. Bookmark the permalink. 13 Responses to Do You Love People and Use Things or Love Things and Use People? Going to your place next. Seeing your Ice Breaker title, my guess is Peeps will be my answer. Awesome post, look forward to reading more. Playlist (the 20 minute wake up and pray one) – A blues version of “Rubber Duckie,” (nice memories of my kids as little guys) a young man bluesy folk tune by some young fellow that is about water and undercurrents (reminds me of my oldest son and oldest godson)…. Funny about the mug…yes – if there was time I’d post right back at you about my current “magic mug” – magic because, as you said, it is all about my mom – looks to me like her and her bold decorating styles as a kid, and because I was learning to take her shopping with me in spirit, as she has been gone for several years. Your welcome and glad you stopped by. Thanks for sharing your own experiences and example as well. I wish you well in your writing journey. Having coffee has tremendous value to me because of the relationships it represents throughout my lifetime. I’ve actually written about that in some of my blog posts about coffee but think I have more in me related to what you’ve talked about. Coffee has been a part of my life for a very long time and has connected me with people in a variety of ways. Books and movies sort of do that too. I believe my church relationship is a definite shine. 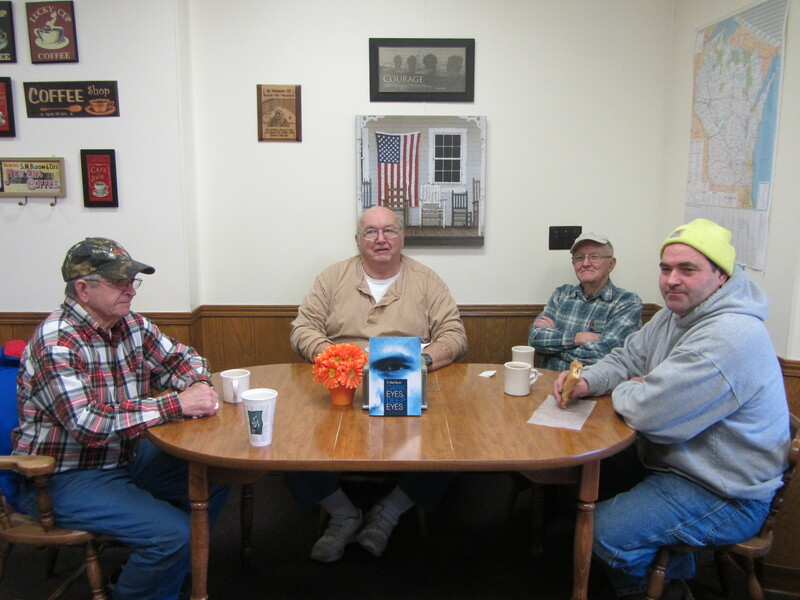 Love to interact with the people there… and to have coffee with them too, of course. Play list would include old hymns learned from mom and sung as a child in church. new praise songs, I can only imagine, used at my husband’s funeral. My chains are gone version of Amazing Grace….ABW..to ol country music like can I have this dance for the rest of my life….. When I decorate, or even when it is just the every day things, our home is filled with memories, deer heads, relate to Nate, his brothers, his dad, and pictures and ducks still remind me of Gary, my late husband, and art work of my daughter, mugs from special friends, it is not the thing…it is the memory associated, or the story, that gives it value and meaning. Thanks to all of you who share your lives through your blogs! God Bless ……Keep serving God this way! “I Can Only Imagine” is a favorite. A guy from Milwaukee sang it at a wedding and did as good a job “live” as I’ve heard.